Have Your Dog Smelling Like Flowers! Spring is the perfect time to have your pet clean, smelling like beautiful flowers and looking dapper! 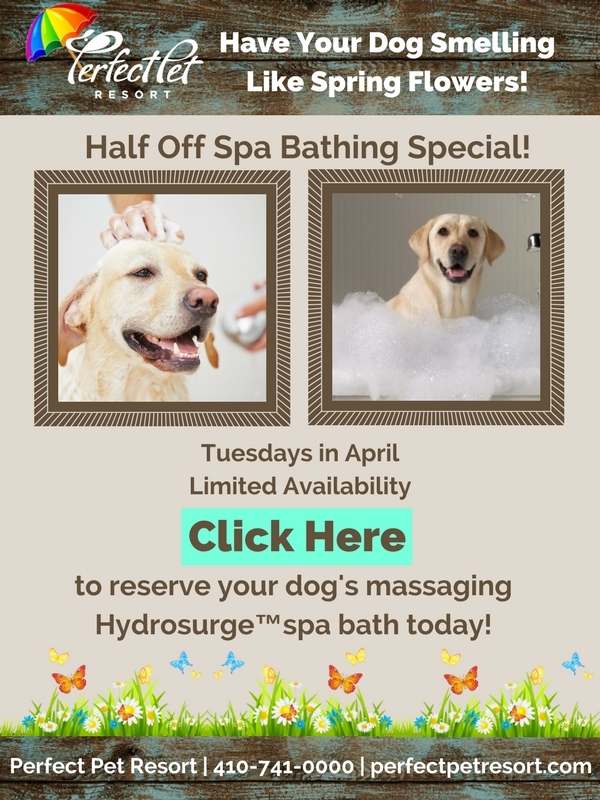 Take advantage of our Tuesday dog bath special any time through the month of April. Spaces are limited so click here to request your space today. Come Learn and Play With Us! Oh My Gourd! Gift Cards! Bring Your Dog to Work Day with Elizabeth and Ventoux!